Block week 24 now! 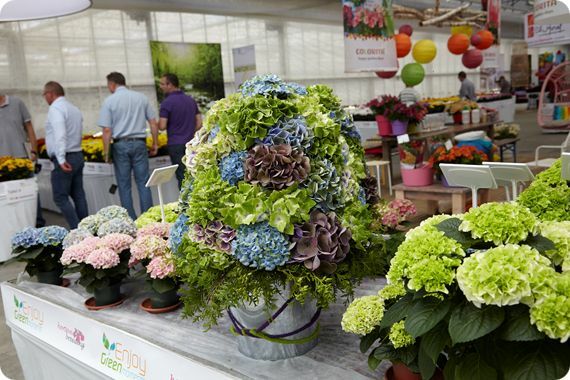 This year’s edition of the FlowerTrials® will take place from 9th to 12th June 2015. No less than 49 companies will open their doors to display the latest assortment in pot and bedding plants to wholesalers, growers and retailers in the Westland and Aalsmeer area in the Netherlands and in Rhineland Westfalen in Germany. All locations are open for visitors from 08.00 to 17.00 hrs and in addition will remain open until 21.00 hrs on the Thursday evening in order to allow more local growers the opportunity to visit after hours. Seven new companies will exhibit for the first time in 2015: three from the Netherlands, three from Israel and one from Germany. The Dutch breeder ABZ Seeds breeds F1 hybrid strawberries. Cohen Propagation Nurseries from Israel supplies cuttings for pot and bedding plants. Hassinger Orchids breeds and produces orchids. Hishtil from Israel produces and sells balcony, bedding and perennial seedlings and young plants. Jaldelty Propagation Nursery, also from Israel, produces cuttings from perennials and annuals. P. Van der Haak nursery grows pelargonium cuttings and young plants. Van den Bos Flowerbulbs will present their Pot Lilium andCalla varieties. The FlowerTrials® Foundation has contracted Fleuroselect, the International Organisation for the Ornamental Plants Industry, to support the administration, member and press relations of the week 24 event.